We are enormously grateful to receive grants from our funders. We thank them all for their continued commitment to supporting the children and families of Me too & Co.
Me too & Co have been supported by Children in Need since 2010. Their grant enables us to hire our venue for all our activities and covers some staff and volunteer costs. Me too & Co have been supported by Richmond Parish Lands since 2013. They have enabled us to run our SEN legal advisory service, improve our digital and IT infrastructure and support core salary costs. We are delighted to be one of their Regularly Funded Organisations (RFO). 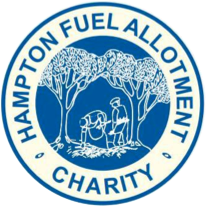 Me too & Co have been supported by Hampton Fuel Allotment Charity since 2014. Their grant enables us to employ a part time staff member to run the administration and development of the charity. Me too & Co have been supported by The Tommy Hollis Children's Fund since 2016. They have enabled us to run our Kids Cookery sessions and new Hydrotherapy sessions. In May 2017 Me too & Co were awarded a Discovery Grant by the Santander Foundation to enable us to provide our Pedal Project courses, which enable children with additional needs to learn to ride a bicycle and develop their life skills. Would you like to become a Me too & Co Funder? There are many ways and opportunities to get involved and become a funder. For more information about working with us to support our charity, please contact jo@metooandco.org.uk.